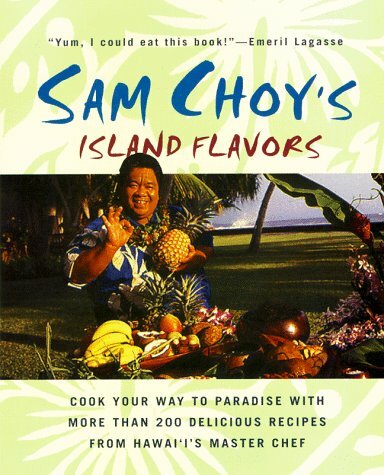 Charismatic restaurateur Sam Choy, famous throughout America for his innovative take on Hawaiian home cooking, brings the flavors of the islands right into your kitchen. Chef Choy's unique cuisine is based on fresh, healthy ingredients, unexpected combinations of spicy and sweet, and low-key preparation, often involving grilling with friends. This gorgeously designed cookbook celebrates Choy's diverse culinary heritage with over 200 recipes ranging from imaginative appetizers, to seafood and meat entrees, to delicious desserts and tropical drinks. With dishes like Baked Teriyaki Mahimahi, Roasted Chicken with Macadamia Nut Stuffing, Big Island Beef Short Ribs, and Mango Guava Sorbet, Choy proves that you can have great flavor with minimal fuss and maximum flexibility. Perfect for entertaining, intimate dining, or dinner with the kids, Choy's cooking is as vibrant and easygoing as Hawaii itself. Aloha!